Associate Professor UGC- Academic Staff College University of Calicut Calicut University P.O, Malappuram, INDIA. 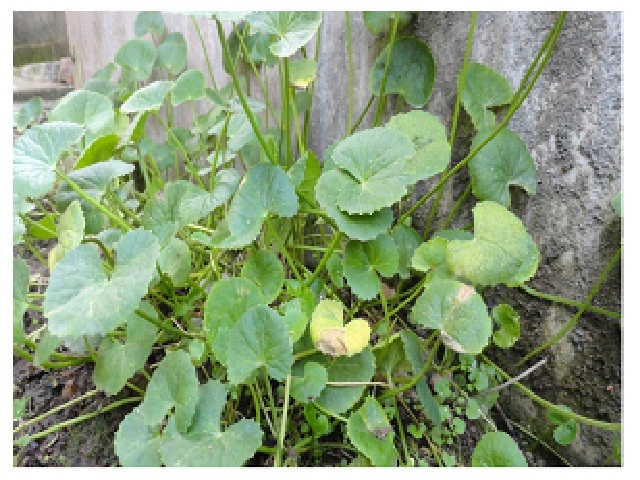 Introduction: Centella asiatica (Linn.) Urban is an important medicinal plant with rejuvenate properties, used in Ayurveda for promoting vitality and life. The plant is often considered as a ‘panacea’ for several human ailments and the biological actions often has been ascribed to its pentacyclic triterpene compounds, mainly asiatic acid, madecassic acid and triterpene saponin-asiaticoside, madecassoside. The plant is also highly specialized for the richness of several micronutrients, iron, phosphorus, sodium, vitamin C, vitamin A, carotene and dietary fibers. Objectives: The present study was performed with the objectives of elaborating the macroscopic and histo-morpho diagnostic profile of Centella asiatica and to analyze the quantitative, and powder microscopic peculiarities to support its pharmacognostic characterization. Materials and Methods: Microscopic evaluation, quantitative standards and powder microscopy were carried out using the root, stolon, petiole and leaves. Results: Distribution of slightly lobed leaf margin with actinodromous major venation pattern, amphistomatic epidermis with animocytic stomata, distinctive contour of the midrib and petiole, occurrence of crystals in the idioblasts of the cortical parenchyma of root, stem, stolon, palisade and mesophyll. Vascular system with several free collateral bundles in the stem were features characteristic of the species. These findings in conjunction with reduction in lignified elements, arenchyma lacunae, sclerenchymatous netting in root, periphloematic sclereids in petiole, and stolon could be remarkable features diagnostic of the taxon. Conclusion: The present macroscopic and histo-anatomical observations of stem, root, stolon, petiole and leaves of Centella asiatica and powder microscopic, quantitative standards put forth could provide useful information for the regulatory aspects of the quality control measures of the crude drugs. Sudhakaran MV. Botanical Pharmacognosy of Centella asiatica (Linn.)Urban. Pharmacognosy Journal. 2017;9(4):546-558.